A list of food and drink podcasts for the discerning audio palate. 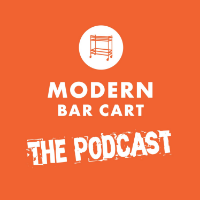 The Modern Bar Cart Podcast is a weekly discussion of the tools and techniques that make great drinks. Hosted by Modern Bar Cart CEO Eric Kozlik, this cocktail podcast gives great information for home bartenders and industry professionals alike. If you’re looking to take your cocktail game to the next level, this is the podcast for you. GotMead Live features interviews with mead world influencers and lots of discussion about making mead, drinking mead, finding mead and just mead! WhiskyCast HD features cask-strength conversation and stories from the world of whisky, and complements our weekly WhiskyCast and monthly WhiskyCast Tasting Panel audio podcasts. For more information, please visit whiskycast.com. Brand Builder brings you the people, stories, and lessons learned from the most innovative brands in the world. Presented by SnackNation. Hosted by Sean Kelly, Jordan Cohen, and Jeff Murphy. Similar to How I Built This, The Dave Ramsey Show, and Seeking Wisdom by Drift.